FCC Votes To Propose New Privacy Rules For Internet Service Providers : The Two-Way The vote, however, was delayed for several hours as regulators negotiated a budget deal on another issue: the expansion of a phone subsidy to begin covering Internet access. The Federal Communications Commission voted to propose its first Internet privacy rules and to expand a phone subsidy program to cover Internet access. The agency's vote, however, was delayed for more than three hours by last-minute negotiations among commissioners and the chairman. At stake was a budget cap for a telecom subsidy program, which the FCC subsequently voted to expand to cover both phone and Internet service. The FCC voted to begin collecting public comment on its chairman's proposal to let consumers weigh in on what information ISPs collect about them and how that information gets used. As we reported previously, "as they connect us to the Internet, ISPs have insight into our lives — websites we frequent, apps we download or locations we visit — and may use that data for their own promotions or sell it to data brokers to be used for marketing or other purposes." Under this new proposal — formally approved by a 3-2 Democratic majority of FCC commissioners — consumers would be able to opt out of programs that let ISPs use the data they collect to offer other services themselves, but the companies would require explicit opt-in consent for data to be shared with third parties. "It's the consumers' information and the consumers should have the right to determine how it's used," said FCC Chairman Tom Wheeler. Telecom companies are against this proposal, arguing it puts them on an unequal footing with other Internet companies that collect data on users, like Google and Netflix, which are only overseen by the Federal Trade Commission. Republican FCC commissioners, too, dissented from the proposal, calling it corporate favoritism. 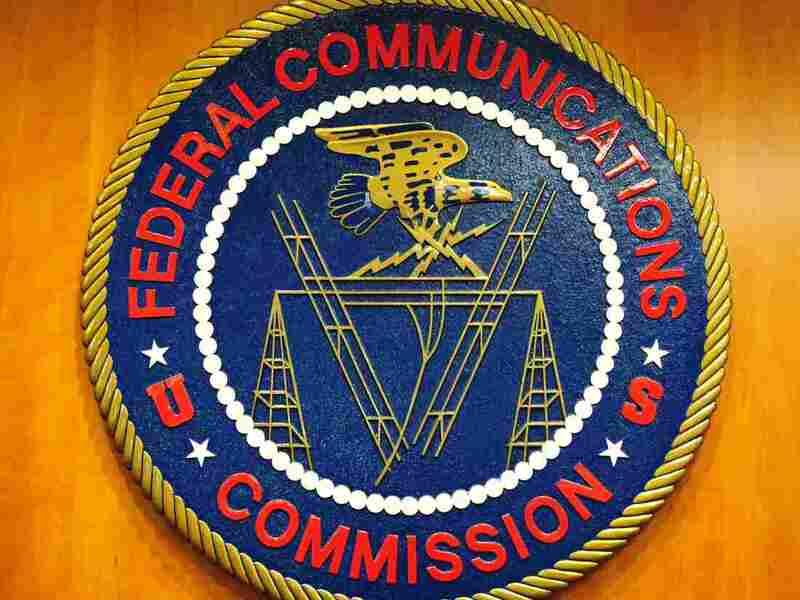 The FCC will now collect public comment on this proposal before voting to set new rules. Since 1985, a government program called Lifeline has helped low-income people pay for phone service — first landlines and later cellphones. On Thursday, the FCC voted to begin allowing the recipients of the subsidy, which is $9.25 a month, to choose whether to spend it on a phone or an Internet connection, wired or wireless. This is the vote that delayed the typically punctual FCC under Wheeler. The FCC's two Republican commissioners and one of the Democrats, Mignon Clyburn, had apparently worked on a last-minute deal to cap the budget of the program at $2 billion a year, but the deal was ultimately scuttled. "I negotiated in good faith to have a budget mechanism in place that ensures millions of new households will have the opportunity to afford advanced telecommunications services," Clyburn said. "Upon further deliberation, I concluded that such a mechanism could not fully achieve my vision of a 21st century Lifeline program." The program, funded through fees paid by telephone companies and users, spent about $1.5 billion in 2015 and has no cap. It had in the past come under fire for waste and abuse and underwent updates and changes in 2012. Republicans have long called for restrictions to the subsidy's budget. The FCC voted — also 3-2 along party lines, with stern and impassioned objections from the Republicans — to set a budget of $2.25 billion a year without a hard cap and impose new eligibility checks, service standards and a funding review process. The FCC estimates that the subsidy currently helps about 12 million households afford phone service. The agency on Tuesday launched a major auction of airwaves, or in telecom parlance, spectrum. It's expected to take several months. The agency plans to first reclaim airwaves from TV stations and then sell them to telecom companies in what's going to be the most complex auction of radio frequencies in history. The idea is to incentivize broadcasters to give up some of their airwaves, freeing up more spectrum for the growing use of mobile devices. The regulators are also expected to deliver a verdict on the proposed $67 billion cable merger of Charter Communications, Time Warner Cable and Bright House Networks. All signs are pointing to an approval with conditions, but the timing and details are unclear. As the New York Times reports, the deal would create the second-largest broadband provider behind Comcast and third-largest video provider after Comcast (whose bid to buy Time Warner Cable was rejected last year) and DirecTV (which was bought by AT&T last year). And the D.C. Circuit Court of Appeals will decide whether the FCC gets to keep the hotly debated "net neutrality" rules that redefined the agency's authority over Internet service providers. Though the timing of the court decision is uncertain, Wheeler in an interview with NPR earlier this month said it could be "in the next few weeks," consistent with the industry's expectation of the ruling sometime this spring. The key question in front of the court is whether the FCC had proper authority to reclassify broadband Internet as a more heavily regulated telecommunications service, similar to traditional telephony.